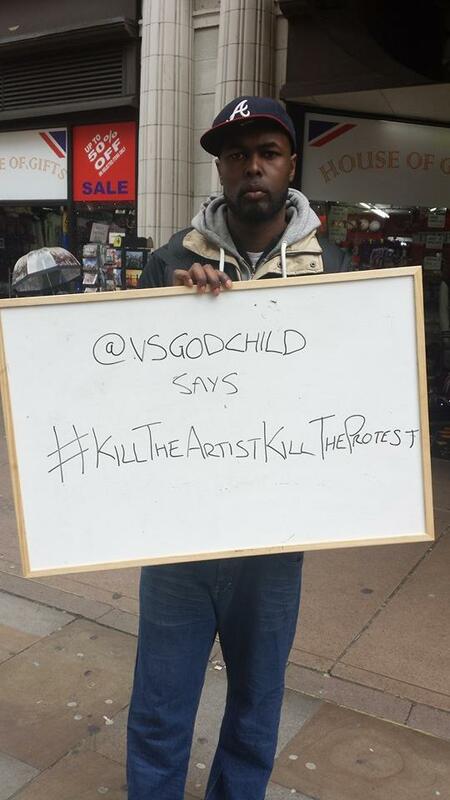 Kill the Artist, Kill the Protest. KTAKTP – Interview #3 – Jess Green, spoken word poet. We caught up with Jess Green, spoken word poet, about the power of art, poetry, spoken word and reaching out to those who may never normally come across poetry. We went to see Banner Theatre at a May Day event where they played various songs campaigning against the ideological austerity of our politicians. We caught up with a young rapper called VS Godchild in Piccadilly selling his new album ‘Through My Eyes’ and stopped to talk about the struggle to break into the mainstream music scene in the 21st century.